Low-profile, cost-effective filtration technology for solids filtration. Low-profile solid/liquid separation of ferrous and non-ferrous metals perfect for grinding applications with flow rates up to 130 gpm. 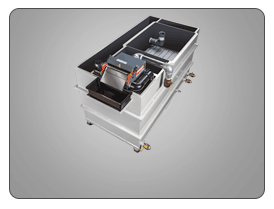 Paper bed filters remove particulate down to 5-microns, prolonging coolant and tool life. Filtered fluid can be reused or recycled lowering operational costs. Standard units ship in 5 days or less. Quick Ship Item! Standard units ship in 5 days or less. 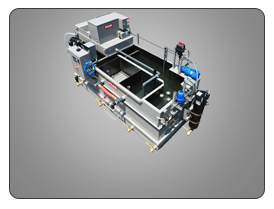 The paper bed filter removes ferrous and non-ferrous metals from coolant, as well as organic and inorganic contaminants such as glass, rubber and plastic allowing for reuse and recycle of fluid. PRAB Paper Bed Filters feature an automatic self-cleaning and self-monitoring system for low maintenance operation. 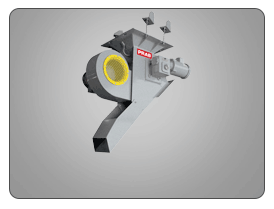 Extend tool life by an average of 27%, improve surface finish and prolong coolant life with PRAB’s line of paper bed filters. 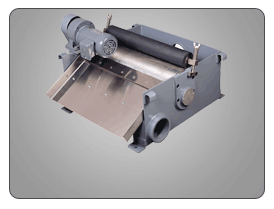 Standard paper bed filtration systems are available with flow rates up to 130 gpm with different classes of filter fabric allowing for adjustments of micron clarity. The disposable filter rolls are suitable for applications of low to medium stock removal of ferrous and non-ferrous metals, as well as organic and inorganic contaminants, such as glass, rubber and plastic. Drum-type models occupy one-third the floor space and can process up to 500 gpm of fluids. Standard units ship in 5 days or less! Paper bed filters are suitable for applications of low to medium stock removal of ferrous and non-ferrous metals, as well as organic and inorganic contaminants, such as glass, rubber and plastic. Models available include standard, magnetic, stainless steel, and drum-type. 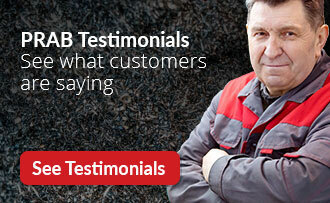 Removes solids from all free-flowing industrial process liquids. Filters use disposable media to filter between 5-130 gpm with tank capacities between 20 and 220 gallons. Available in standard or magnetic separation. Pre-filters ferrous materials from industrial process liquids. Filters use disposable media to filter flow rates up to 250 gpm with an automated self-cleaning system that minimizes maintenance- perfect for grinding applications. Drum-Type paper bed filters occupy one-third the floor space of a traditional paper bed filter, saving valuable work space. Filters use disposable media to filter flow rates up to 500 gpm. The stainless-steel paper bed filtration system is designed for the plastics manufacturing industry to provide efficient and economical separation of plastic pellets from water with flow rates up to 400 gpm. Higher rates are available.